CSS Customer Care agreements provide 24-7 superior support and service, regular software updates, and equipment replacement.  Each Sur-Gard receiver features leading security measures, such as 128-bit AES encryption to maintain a secure network environment when communicating with IP communicators or licensed 3rd party IP transmitters. All automation links are continuously supervised. If the ‘heartbeat’ signal is not acknowledged, the Sur-Gard receivers that have been configured for redundancy display a notification before switching to the backup automation connections. The SG-System III, IV and 5 receivers automatically switch from the primary Ethernet port to the secondary Ethernet port, then to the primary serial port, and finally to the secondary serial port before going into manual mode. The SG-System III, IV and 5 deliver complete auto-switching redundancy for backup. For example, if the primary CPM stops working, the secondary unit automatically takes over all duties until the problem is resolved. All of these receivers also have replaceable power supply backup with the primary and secondary power supplies performing load sharing, so they can automatically take over without any user intervention. All components are also ‘hot swappable’ so they can be quickly removed and/or replaced while the system is live. Disaster recovery is easily addressed with SG-System III, IV and 5. Using a PRI/T1 circuit allows a primary central monitoring station to have communication to the receivers routed to an alternate disaster recovery facility using available phone service provider options. This prevents any downtime and ensures that monitoring activities continue ‘as normal’. Geared to support innovative alarm verification solutions, PIR cameras are strategically installed as part of a security system and are activated the moment an alarm is triggered. Via the SG-System 5 Receiver, images are sent instantly through to the monitoring facility where the situation can rapidly and accurately be assessed and escalated to authorities, if required, while providing respondents with critical information. The Sur-Gard Console allows Central Monitoring Stations access to visual verification images. In conjunction with compatible automation companies, the integrated software allows for seamless visual verification viewing and increased output that enhances the speed of processing alarm communications. Questions. How can we help?